Paying at the Pump: Is Premium Gas Worth It? Some drivers like to treat their cars to premium gas, believing it boosts engine performance and efficiency. But with higher-octane fuel costing around $0.50 more per gallon than regular unleaded gas, you might be wondering: is premium gas worth it? The short answer to this question, according to AAA, is no. If your car is designed to run on regular gas, higher-octane fuel is just more money out the tailpipe. According to a national survey conducted by AAA, 16.5 million American drivers spend $2.1 billion extra per year on premium gas their cars don’t need. Of course, premium gas isn’t always a waste; it depends on the car you drive. Here’s your chance to learn when you’re better off buying regular gas and which cars actually receive a performance boost when you go premium. According to AAA, 70 percent of Americans own vehicles designed to run on regular, 85- to 87-octane gas. These cars get no extra performance boost from mid-grade or premium gasoline. 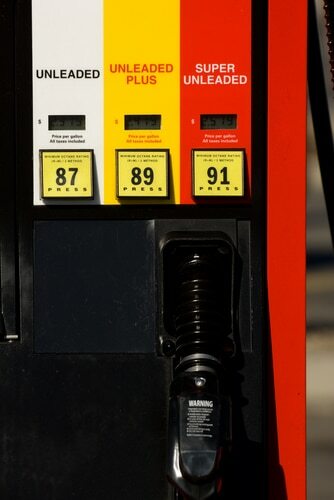 Sixteen percent of vehicles actually do perform their best with 91- to 93-octane premium gas. These are usually luxury or performance brand vehicles that use turbocharging or supercharging technology to get more out of smaller engines. The remaining 14 percent of vehicles in America are either recommended to use 88- to 90-octane mid-grade gasoline or have an alternative fuel source, such as electricity. If you’re not sure what gasoline your car’s manufacturer recommends, check your owner’s manual for clarification. Once you know whether your car actually benefits from premium gas or not, there’s one more step you can take to ensure you feed your car the best fuel for its engine: make sure the gasoline brand meets “Top Tier” standards. This tells you that the gasoline cleans your car’s engine better than non-Top Tier brands and has superior additives to prevent ash deposits. These deposits can cause your car to hesitate, have a rougher ride, and consume more fuel. If your car has any of these problems, you might want to reconsider where you buy gas. The good news is all major gasoline brands meet Top Tier standards, including Shell, Amoco, Mobil, Exxon, and BP. Some lesser-known brands such as Holiday, Costco, and Kwik Star also offer Top Tier gas. You can find the complete list of licensed brands here. Avoid rapidly accelerating and braking. Unload excess weight from the trunk. Remove the roof-top cargo box when you’re not using it. Turn off your car when waiting for a train to go by. Use the cruise control on the freeway. Basic vehicle maintenance, such as changing the oil and getting a tune-up, can also help to improve fuel efficiency and reduce how often you fill up at the pump. The next time you need routine vehicle maintenance, trust Scott’s Fort Collins Auto & Repair for timely, reliable service. Stop by our convenient Fort Collins location or schedule your appointment online ahead of time. You can also call us at 970-682-4202 to let us know you’re coming.